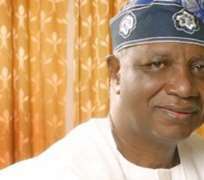 The funeral arrangements for former Ondo State Governor, Dr. Olusegun Agagu, scheduled for his Iju-Odo hometown today, will go ahead as planned despite Thursday's plane crash in which 13 persons were killed while his remains were being ferried to the state. THISDAY gathered that the family had directed that the incident, which sent shock waves round the state, where many had gathered awaiting the arrival of the funeral party, should not stop the burial of the former governor, who slumped and died in Lagos on September 13. Agagu, whose corpse was in the Associated Airlines flight that was taking it alongside family members and others to Akure for the funeral rites before it crashed in Lagos shortly after taking off, was billed for interment today in his hometown in Ondo State. THISDAY gathered that the Agagu's family in Iju-Odo had ordered that the remains of the former governor be brought to the town for burial today. The widow, Olufunke, two daughters, and some other members of the family, who arrived Akure safely yesterday on board another chartered flight at 9.13 am, had relocated to Iju-Odo around 1.30 pm. The state Chairman of the People Democratic Party (PDP), Mr. Ebenezer Alabi, confirmed that the burial would take place today. Until his death, Agagu was a member of the party. He said the family and the party sympathised with the family of those who died in the crash. The sudden news of the plane crash initially brought to an abrupt end preparations for the state burial being planned for Agagu in Akure. The funeral rites planned for yesterday were supposed to take place in three phases. The state Governor, Dr. Olusegun Mimiko, top government functionaries and others were billed to receive the remains of the former governor at the airport, while the lying-in -state was scheduled to take place at Democracy Park, Akure, and another for Iju-Odo, where a Christian wake was to take place. While Mimiko along with some members of his executive council, Agagu's deputy while in office, Ambassador Omolade Oluwateru and other PDP chieftains were waiting at the airport for the arrival of the body, a crowd had gathered at Democracy Park to bid the former governor farewell. The crowd from various parts of the state started gathering at the park from as early as 8 am. The arrival of the aircraft that brought Agagu's widow and his two daughters, along with some family members gave the people hope that the aircraft conveying Agagu's remains would soon arrive. However, the expectations of the people were dashed when news of the crash filtered in. Without any official announcement of the incident, either at the airport or at Democracy Park, the crowd started dispersing and threw the state into further mourning. The Ondo State Government, in a statement by the Chief Press Secretary to the governor, Eni Akinsola, described the incident as tragic. Akinsola confirmed that a commissioner, Deji Falae, family members, associates and other top government officials were involved in the crash. 'No doubt, this is an unfortunate disaster in the life of our dear state. We can only pray that God will visit the state with mercy and give us all the strength to bear these unfortunate losses. 'We ask all residents to be in a sober and prayerful mood at this trying time, as God is indeed the only person we should call upon in this period. Government assures the people that further and better information will be released as soon as it is available,' the statement added. Chief Olu Falae, a top politician and former presidential candidate in 1999 election, whose son, Deji, died in the crash, sympathisers were seen around him. Falae did not utter a word but just gazed at the sky.